IT sales forecasting by its very nature is an unscientific art. The decision cycles, budgets, and purchasing needs of prospects constantly change. Sales forecasts are just snapshots of time captured on a selected time slice. The introduction of CRM systems and contact management programs have made sales projections less accurate today in the ability to help management teams correctly forecast sales revenues and ultimately corporate cash flow, bench utilization needs, and production requirements. Why would the use of CRM systems cause the decrease in accuracy when compared to manual sales forecasting tracking systems? The reason is that CRM systems provide UNFILTERED DATA. Prior to the widespread usage of CRM systems, sales management “massaged” all rolling sales forecasting that was provided by their sales team BEFORE the information was passed onto the next level of management above them. This “massaging” allowed each level of sales management to adjust the forecasts based on the local knowledge of the individual capabilities of their sales reps and their optimistic approach to sales revenue capture. Once “massaged” and adjusted (usually downward) the data was passed on to the next level of management for review and adjustment. By the time it was finally submitted for corporate acceptance, the numerical values had been adjusted to reflect a more accurate forecast amount, based on the human element of each salesperson’s capabilities, rather than a mathematical calculation based on the individual forecasting algorithm, or worse the unadjusted hopes of struggling IT salespeople. This ineffective model of forecasting simply through a CRM, coupled with open visibility and unlimited timely access of CRM forecasts by both multiple layers of company management as well as investors, continues to communicate the wrong data on an ongoing basis. IT salespeople clearly understand the model from management that seeks more data from them on the current and future potential sales. These individuals have learned to just manipulate the data to reflect executive public revenue declarations or internal expectations. Subsequently, most IT sales forecasts today are not accurate reflections of true revenue opportunities, but instead, are just mirror images of sales projections verbalized as expected business milestones. Today, more than ever, IT salespeople spend more time selling management on their sales activity, rather than selling prospects. In fact, as sales slow, the line of demarcation of a sales forecast and a sales pipeline seem to blur. Sales reps just move prospects back and forth through this sales funnel, creating visual images of sales activity for management. 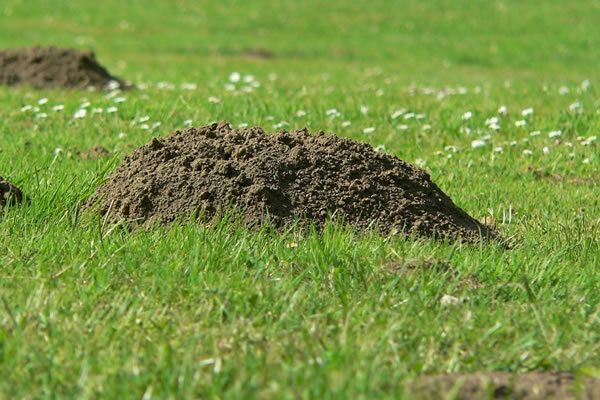 These types of IT salespeople are called “Forecasting Moles.” Forced by low sales, an inaccurate sales quota, and senior management that over-commits publicly on revenue projections, they just hibernate inside their sales forecasting projections by moving prospects around to look like they are accelerating the sales cycle activity. Sales pipelines are imaginary events that reflect unproven opportunities. Sales forecasts are a commitment to revenue capture by your sales team. Yes, some IT firms use mathematical algorithms based on individual forecasting and closing ratios to calculate actual sales forecast accuracy, but this also causes an imbalance in the forecasts. Because every sale, like every salesperson, has its own nuances during the sales cycle. The use of “smoothed” moving statistical averages still does not allow for the ebb and flow of a sale. Mean averages work better with sales pipelines than sales forecasts. Have you ever noticed how your salespeople fill up their sales forecasts to the minimum amount of expected dollars communicated to them by management as minimum requirements? Start with a sales quota that is accurate. Do not allow general access to the CRM system by all levels of management or by investors. Have these individuals receive only scrubbed data given to them by the sales management team. Allow your sales management team to function as they should – as sales managers. Let them scrub the data of their direct sales subordinates before the data is submitted. Don’t expect your sales team to spend a disproportionate amount of time updating their contact management and CRM systems. They won’t do it, or worse, they will just fill the CRM system with worthless data. Change all forecasting timelines immediately. A common method used by many IT firms is to use their average closing timeline as the length of their sales forecasts. Remember, this model gives inaccurate data because it becomes a group average. Instead, ONLY allow sales deals that can be closed within 90 days to be included in your sales forecasts. All other opportunities should be moved to the sales pipeline. This will force your IT sales team to quickly identify true sales prospects that can be closed immediately and will minimize all sales mole activities.